While PIMCO doesn’t foresee an imminent recession, we estimate its chances are roughly 70% in the next three to five years. Joachim Fels, global economic advisor, discusses potential causes and trajectories for the next recession, and ways investors can prepare for it. Past performance is not a guarantee or reliable indicator of future results and no guarantee is being made that similar returns will be achieved in the future. PIMCO Funds: Global Investors Series plc is an umbrella type open-ended investment company with variable capital and is incorporated with limited liability under the laws of Ireland with registered number 276928. The information is not for use within any country or with respect to any person(s) where such use could constitute a violation of the applicable law. The information contained in this communication is intended to supplement information contained in the prospectus for this Fund and must be read in conjunction therewith. Investors should consider the investment objectives, risks, charges and expenses of these Funds carefully before investing. This and other information is contained in the Fund’s prospectus. Please read the prospectus carefully before you invest or send money. Past performance is not a guarantee or a reliable indicator of future results and no guarantee is being made that similar returns will be achieved in the future. Returns are net of fees and other expenses and include reinvestment of dividends. The performance data represents past performance and investment return and principal value will fluctuate so that the PIMCO GIS Funds shares, when redeemed, may be worth more or less than the original cost. Potential differences in performance figures are due to rounding. The Fund may invest in non-U.S. or non-Eurozone securities which involves potentially higher risks including non-U.S. or non-Euro currency fluctuations and political or economic uncertainty. For informational purposes only. Please note that not all Funds are registered for sale in every jurisdiction. Please contact PIMCO Europe Ltd for more information. For additional information and/or a copy of the Fund’s prospectus, please contact the Administrator: State Street Fund Services (Ireland) Limited and State Street Custodial Services (Ireland) Limited (collectively “State Street”), Telephone +353 1 7768000, Fax: +353 1 7768491. ©2018. Benchmark - Unless otherwise stated in the prospectus or in the relevant key investor information document, the Fund referenced in this material is not managed against a particular benchmark or index, and any reference to a particular benchmark or index in this material is made solely for risk or performance comparison purposes. Additional information - This material may contain additional information, not explicit in the prospectus, on how the Fund or strategy is currently managed. Such information is current as at the date of the presentation and may be subject to change without notice. Investment Restrictions - In accordance with the UCITS regulations and subject to any investment restrictions outlined in the Fund’s prospectus, the Fund may invest over 35% of net assets in different transferable securities and money market instruments issued or guaranteed by any of the following: OECD Governments (provided the relevant issues are investment grade), Government of Singapore, European Investment Bank, European Bank for Reconstruction and Development, International Finance Corporation, International Monetary Fund, Euratom, The Asian Development Bank, European Central Bank, Council of Europe, Eurofima, African Development Bank, International Bank for Reconstruction and Development (The World Bank), The Inter American Development Bank, European Union, Federal National Mortgage Association (Fannie Mae), Federal Home Loan Mortgage Corporation (Freddie Mac), Government National Mortgage Association (Ginnie Mae), Student Loan Marketing Association (Sallie Mae), Federal Home Loan Bank, Federal Farm Credit Bank, Tennessee Valley Authority, Straight-A Funding LLC. A word about risk: Investing in the bond market is subject to risks, including market, interest rate, issuer, credit, inflation risk, and liquidity risk. The value of most bonds and bond strategies are impacted by changes in interest rates. Bonds and bond strategies with longer durations tend to be more sensitive and volatile than those with shorter durations; bond prices generally fall as interest rates rise, and the current low interest rate environment increases this risk. Current reductions in bond counterparty capacity may contribute to decreased market liquidity and increased price volatility. Bond investments may be worth more or less than the original cost when redeemed. Commodities contain heightened risk, including market, political, regulatory and natural conditions, and may not be suitable for all investors. Currency rates may fluctuate significantly over short periods of time and may reduce the returns of a portfolio. Derivatives may involve certain costs and risks, such as liquidity, interest rate, market, credit, management and the risk that a position could not be closed when most advantageous. Investing in derivatives could lose more than the amount invested. Equities may decline in value due to both real and perceived general market, economic and industry conditions. Investing in foreign-denominated and/or -domiciled securities may involve heightened risk due to currency fluctuations, and economic and political risks, which may be enhanced in emerging markets. Sovereign securities are generally backed by the issuing government. Obligations of U.S. government agencies and authorities are supported by varying degrees, but are generally not backed by the full faith of the U.S. government. Portfolios that invest in such securities are not guaranteed and will fluctuate in value. High yield, lower-rated securities involve greater risk than higher-rated securities; portfolios that invest in them may be subject to greater levels of credit and liquidity risk than portfolios that do not. Mortgage- and asset-backed securities may be sensitive to changes in interest rates, subject to early repayment risk, and while generally supported by a government, government-agency or private guarantor, there is no assurance that the guarantor will meet its obligations. Income from municipal bonds may be subject to state and local taxes and at times the alternative minimum tax. Swaps are a type of derivative; swaps are increasingly subject to central clearing and exchange-trading. Swaps that are not centrally cleared and exchange-traded may be less liquid than exchange-traded instruments. Inflation-linked bonds (ILBs) issued by a government are fixed income securities whose principal value is periodically adjusted according to the rate of inflation; ILBs decline in value when real interest rates rise. Treasury Inflation-Protected Securities (TIPS) are ILBs issued by the U.S. government. Certain U.S. government securities are backed by the full faith of the government. Obligations of U.S. government agencies and authorities are supported by varying degrees but are generally not backed by the full faith of the U.S. government. Portfolios that invest in such securities are not guaranteed and will fluctuate in value. This material has been distributed for informational purposes only and should not be considered as investment advice or a recommendation of any particular security, strategy or investment product. Information contained herein has been obtained from sources believed to be reliable, but not guaranteed. No part of this material may be reproduced in any form, or referred to in any other publication, without express written permission. PIMCO is a trademark of Allianz Asset Management of America L.P. in the United States and throughout the world. ©2018, PIMCO. PIMCO Europe Ltd (Company No. 2604517) and PIMCO Europe Ltd - Italy (Company No. 07533910969) are authorised and regulated by the Financial Conduct Authority (25 The North Colonnade, Canary Wharf, London E14 5HS) in the UK. The Italy branch is additionally regulated by the Commissione Nazionale per le Società e la Borsa (CONSOB) in accordance with Article 27 of the Italian Consolidated Financial Act. PIMCO Europe Ltd services are available only to professional clients as defined in the Financial Conduct Authority’s Handbook and are not available to individual investors, who should not rely on this communication. PIMCO Europe Ltd (Company No. 2604517) and PIMCO Europe Ltd - Italy (Company No. 07533910969) are authorised and regulated by the Financial Conduct Authority (25 The North Colonnade, Canary Wharf, London E14 5HS) in the UK. The Italy branch is additionally regulated by the Commissione Nazionale per le Società e la Borsa (CONSOB) in accordance with Article 27 of the Italian Consolidated Financial Act. PIMCO Europe Ltd services are available only to professional clients as defined in the Financial Conduct Authority’s Handbook and are not available to individual investors, who should not rely on this communication. 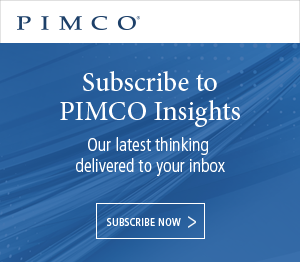 | PIMCO Deutschland GmbH (Company No. 192083, Seidlstr. 24-24a, 80335 Munich, Germany), PIMCO Deutschland GmbH Italian Branch (Company No. 10005170963) and PIMCO Deutschland GmbH Swedish Branch (SCRO Reg. No. 516410-9190) are authorised and regulated by the German Federal Financial Supervisory Authority (BaFin) (Marie- Curie-Str. 24-28, 60439 Frankfurt am Main) in Germany in accordance with Section 32 of the German Banking Act (KWG). The Italian Branch and Swedish Branch are additionally supervised by the Commissione Nazionale per le Società e la Borsa (CONSOB) in accordance with Article 27 of the Italian Consolidated Financial Act and the Swedish Financial Supervisory Authority (Finansinspektionen) in accordance with Chapter 25 Sections 12-14 of the Swedish Securities Markets Act, respectively. The services provided by PIMCO Deutschland GmbH are available only to professional clients as defined in Section 67 para. 2 German Securities Trading Act (WpHG). They are not available to individual investors, who should not rely on this communication. | PIMCO (Schweiz) GmbH (registered in Switzerland, Company No. CH-020.4.038.582-2), Brandschenkestrasse 41, 8002 Zurich, Switzerland, Tel: + 41 44 512 49 10. The services provided by PIMCO (Schweiz) GmbH are not available to individual investors, who should not rely on this communication but contact their financial adviser. PIMCO Asia Pte Ltd (8 Marina View, #30-01, Asia Square Tower 1, Singapore 018960, Registration No. 199804652K) is regulated by the Monetary Authority of Singapore as a holder of a capital markets services license and an exempt financial adviser. The asset management services and investment products are not available to persons where provision of such services and products is unauthorised. | PIMCO Asia Limited (Suite 2201, 22nd Floor, Two International Finance Centre, No. 8 Finance Street, Central, Hong Kong) is licensed by the Securities and Futures Commission for Types 1, 4 and 9 regulated activities under the Securities and Futures Ordinance. The asset management services and investment products are not available to persons where provision of such services and products is unauthorised. | PIMCO Australia Pty Ltd ABN 54 084 280 508, AFSL 246862 ( PIMCO Australia). This publication has been prepared without taking into account the objectives, financial situation or needs of investors. Before making an investment decision, investors should obtain professional advice and consider whether the information contained herein is appropriate having regard to their objectives, financial situation and needs. | PIMCO Japan Ltd (Toranomon Towers Office 18F, 4-1-28, Toranomon, Minato-ku, Tokyo, Japan 105-0001) Financial Instruments Business Registration Number is Director of Kanto Local Finance Bureau (Financial Instruments Firm) No. 382. PIMCO Japan Ltd is a member of Japan Investment Advisers Association and The Investment Trusts Association, Japan. Investment management products and services offered by PIMCO Japan Ltd are offered only to persons within its respective jurisdiction, and are not available to persons where provision of such products or services is unauthorized. Valuations of assets will fluctuate based upon prices of securities and values of derivative transactions in the portfolio, market conditions, interest rates and credit risk, among others. Investments in foreign currency denominated assets will be affected by foreign exchange rates. There is no guarantee that the principal amount of the investment will be preserved, or that a certain return will be realized; the investment could suffer a loss. All profits and losses incur to the investor. The amounts, maximum amounts and calculation methodologies of each type of fee and expense and their total amounts will vary depending on the investment strategy, the status of investment performance, period of management and outstanding balance of assets and thus such fees and expenses cannot be set forth herein.